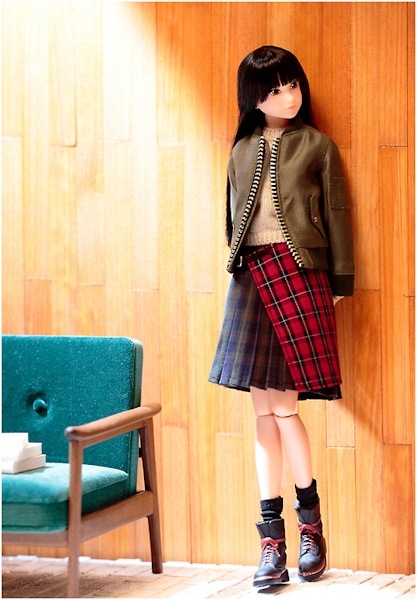 I hope you like tartan, because March 2016 Sekiguchi is releasing a fascinating girl who is rocking a tartan pattern. Her name is Tartan Syndrome and she is the perfect girl to celebrate St Patrick's Day on March 17, 2016. While Googling the words "Tartan Syndrome" I came across images of people with a skin condition known as "granny's tartan". You can only imagine how taken aback I was. A painful rash on the body is a stark contrast to this beautiful Momoko doll. I find it amusing that Sekiguchi or whoever provides English translations for the dolls, didn't come across this . . . or maybe they did but they really loved the name Tartan Syndrome lol xD. I am in love with Tartan Syndrome, she's so different! From the waist up she looks sweet and innocent in her light brown sweater. Her cheeks even have a hint of blush and her black hair with bangs adds to her cuteness factor. But the instant you add her jacket and glance at skirt, is the moment her look transforms from sweet to edgy. Her plaid/tartan skirt unlocks her hidden punkness and allows her playful and unique spirit to shine through. I adore her Doc Marten equivalent boots, they complete her look wonderfully. What are your thoughts on Tartan Syndrome, do you find her style appealing, or do you think her look is all over the place? Will you add Tartan Syndrome to your collection? Let us know, leave a comment below! Wow! She’s gorgeous! 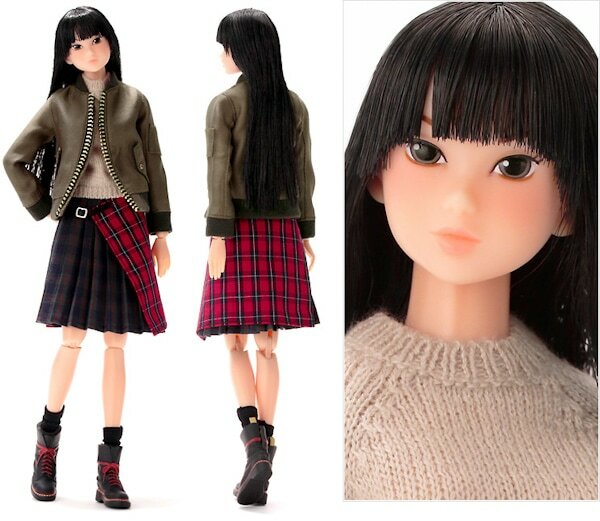 I really love her style and I’m really looking forward to ordering her but I don’t find when the preorder starts. I mean, I’d like to buy her in some “official” website. Do you know anything? 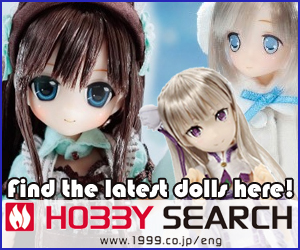 Typically hobby shops like Hobby Search, Ami Ami stock Sekiguchi items but usually late. If the Hobby Shops in Japan have her in-stock I will update this post. We love contacting collectors and dolls! I think she is quite cute and my favourite part about her are those Doc Martens. I kind of wish they were sold separately so I can get them for my FR girls! Sadly I have way too many dark haired dolls so would love to add more light haired dolls to my collection. Again, I hope there are owner photos of her floating around when she’s released! I know, her Doc Marten boots are super cute! 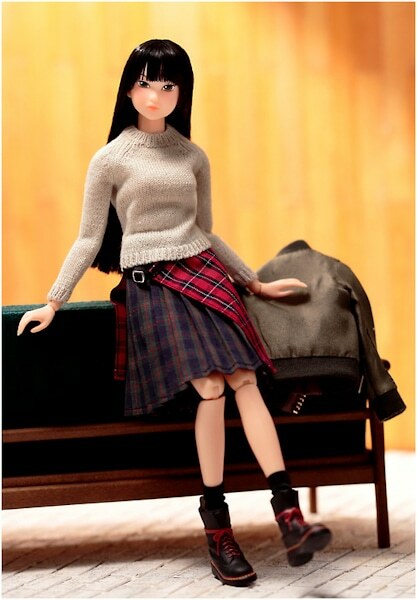 A Momoko addicted to tartan, now that sounds like an interesting story ^_^. I agree, this girl is hard to resist. 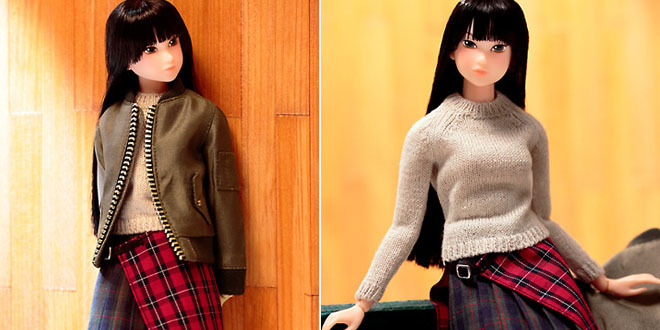 It’s early in the year but Sekiguchi has been announcing some beautiful dolls, I hope they continue with this trend. Thanks for chatting with me about Tartan Syndrome!